Dr. Dean Vafiadis received his dental degree and prosthodontic specialty training at New York University College of Dentistry. He is currently the Director of the Full-Mouth Rehabilitation CE course at NYU. He is an Associate Professor of Prosthodontics at NYU College of Dentistry. 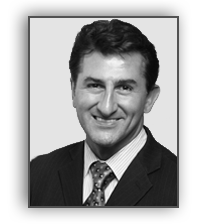 Dr. Vafiadis is a lecturer and clinical instructor at the Aesthetic Advantage Course in the Rosenthal Institute of Aesthetic and Implant Dentistry at NYU. He lectures nationally and abroad for NYU Continuing Education department. He has instructed over 7,000 dentists with over 500 programs in the past 14 years. Dr. Vafiadis published and lectured on various computer-based programs, such as computerized dentistry and computerized implants, facial aesthetics and prosthodontic treatment planning, and has advanced restorative techniques for implants, aesthetics and occlusion. He is the founder of the New York Smile Institute in NY. It is an educational center, full-service laboratory and learning facility, as well as a private practice location for a multi-specialty practice for implant an aesthetic dentistry. Currently he is the program director of the Full-Mouth Rehabilitation CE Program at NYUCD. He is also lecturing for the Continuing Education program at NYUCD, for porcelain veneers and for many districts in USA and Europe. His patient base includes many celebrities, sports figures, fortune 500 company executives, producers, directors and writers in the film industry, executives in the fashion world and world-renowned chefs and restaurant owners. He maintains his private practice with his partners at the Takashimaya Building. He is also on the advisory board of STEMSAVE.com, World Journal of Dentistry, Dental XP, and the online Journal of Clinical Implants and Advanced Dentistry. Dr. Vafiadis' primary professional mission is to educate, publish and invent new technologies that will help change the dental profession and patients' lives. He is a member of the ACP, AO, AAID, ICOI, AACD and the ADA.